OCT 3 2014 – Google’s Webmaster Trends Analyst and Search Quality Engineer, Gary Illyes, reports that Google could be launching a new Penguin algorithm update next week. As far as google penguin news goes, this would be a large re-write of the algorithm that originally took Google a full year to release. There is always the possibility that it may not be though, if they come across issues with the testing phase. 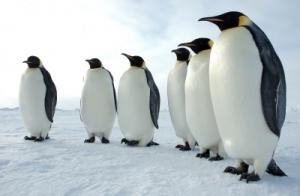 However, if testing is smooth – Google may just launch the next-gen Penguin update. Reports are saying that the new Penguin update will make it easier on webmaster and for most searchers. Any disavow for bad links at this time or up to two weeks ago, would be too late for this refresh, Gary said. But he noted that the new refreshes will be more frequent due to the algorithm changes being implemented. So, it’s either we see a next generation Penguin update soon, or not. Stay tuned for more google penguin news at it unfolds.